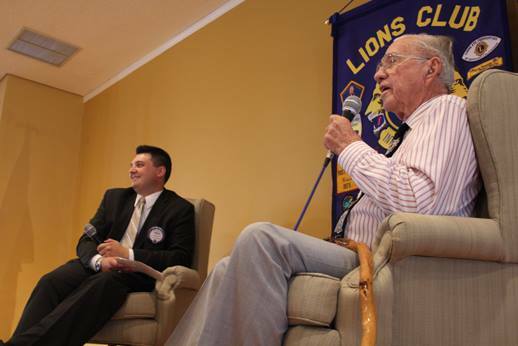 Emcee Paul White, left, roasts former Whittier Mayor Monte Wicker on June 25, 2013 at the American Red Cross building on Washington Ave. Wicker, a longtime Whittier Host Lions Club member, died Sunday of natural causes. He was 99. His funeral is planned for 10 a.m. Wednesday, Jan. 4 at First Friends Church on Philadelphia Street with burial to follow at Rose Hills. A reception in Wicker’s honor will be open to the public after the ceremony at the Whittier Museum, 6755 Newlin Ave., in Whittier. This past year has claimed the life of yet another iconic American with the passing of Fremont Edward “Monte” Wicker. The former Whittier mayor and longtime owner of Monte’s Camera Shop died of natural causes on Sunday at Southern California Acute Care on Sorenson Avenue. He was 99. The man with the booming baritone voice, easy smile and perpetual gleam in his eyes served on the Whittier City Council from 1962 to 1974 and was Whittier’s mayor from 1964 to 1966. 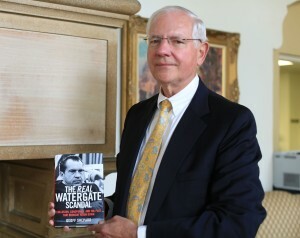 Wicker was born in his parents’ Whittier home on May 22, 1917 and wended his way through Whittier schools before graduating from UC Davis in 1939. Son Kim Wicker said his father originally wanted to be a veterinarian, but followed his passion for photography and turned it into a career when he opened Monte’s Camera Shop in 1948. The longtime motorcycle enthusiast was past president and a member of the Whittier Host Lions Club, a service organization that gives away thousands of dollars every year in college scholarships and free eyeglasses to the underserved in Whittier. In an interview in August Monte recounted the time he and a friend smuggled bottles of beer into the old American Red Cross building on Washington Avenue using a string dangled from the third floor window. Or the time he and Hubert Perry raced soap box derby cars down Greenleaf Avenue. He hinted at more than a few brushes with the law. Greer said past members like Wicker and Perry wove the cultural tapestry that makes Whittier a unique and caring community. Kim Wicker said his dad met Ellen Chilton in high school and the sweethearts were married in August of 1939. They had four children: Joelyn “Jolly,” Chris, Mark and Kim. Jolly died from a sudden illness when she was 15. Monte leaves behind four grandchildren, Lisa, Mark, Alina and Tara and five great-grandchildren. After a stint with Southern California Edison, Wicker worked for the California Department of Fish & Game before being drafted into the Army in 1945. He served stateside before opening his camera shop in 1948. Aside from the Lions Club, Monte also had leadership roles in the League of Independent Cities, the Southeast Mosquito Abatement District, the Whittier Uptown Association, Whittier College and the Bank of America Advisory Board. After Ellen Wicker died of melanoma in June 2000, Monte fell in love with Beverly Harris, who he met while performing in Whittier Community Theater. Beverly and Monte were inseparable until his death. Monte loved to perform and often would belt out a tune for his fellow Lions. Although his harmonica was always at the ready, “he played a mean clarinet,” Kim said. Funeral services are planned for 10 a.m. on Wednesday, Jan. 4 at First Friends Church, 13205 Philadelphia St., with burial to follow at Rose Hills. A reception honoring Monte’s life will follow at the Whittier Museum, 6755 Newlin Ave.
For more information call 562-298-0192. 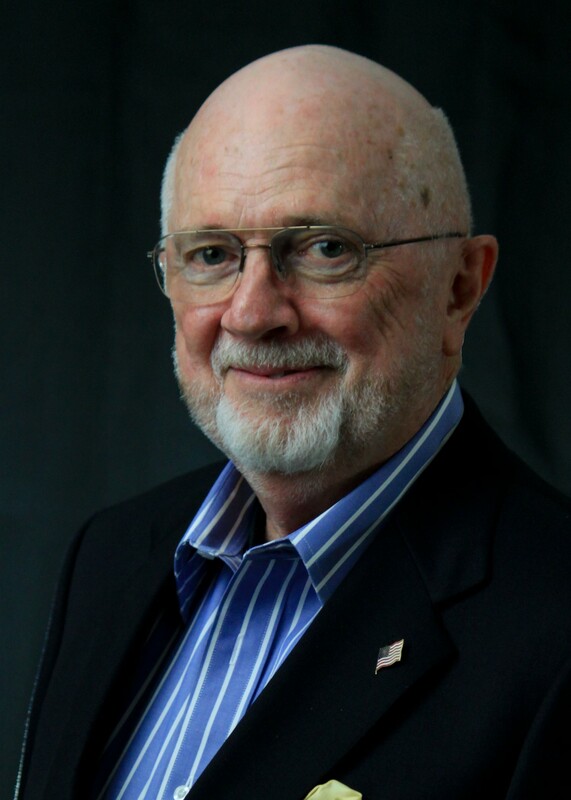 Tim Traeger is former editor of the Whittier Daily News and is currently executive director of the Whittier Historical Society & Museum. WHITTIER – Put a starving kid in a candy shop and you have a hint about the career of Fran Shields. They say if one loves what they do, they never work a day in their life. So after 42 years with the city of Whittier, on Dec. 4, 2015, Frances Leone Moretta Shields will retire with zero hours on the books. Because she’s loved every minute. Her Italian-borne exuberance as director of parks, recreation and community service has fostered a plethora of too many things that make Whittier a wonderful place to live. Many of the statues and monuments to arts and culture come as a direct result of her passion. So do the multitude of programs that make the some $13 million department she’s ran since 2010 come to life. When Whittier residents take their dogs to their very own dog park, Fran is there. When they walk or bike the Greenway Trail, Fran is there. When seniors get a nutritious meal every day, Fran is there. When your child goes swimming in a city pool, Fran is there. 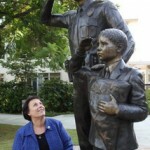 When the police honor a monument to their lost heroes, Fran is there. When thousands of people come together as a community 12 times a year to hear concerts in the parks, Fran is there. You might say, Fran has left her legacy everywhere. Shields was born here 61 years ago and never left. At a lofty 4-foot-nothing, the beloved dynamo said why go anywhere else? “It’s about quality of life. I’m not just saying that because it’s the stock answer. It IS about the quality of life. It is about what Whittier is in creating that sense of community and making sure people have things to do that are fun and to expand their knowledge. “The families that come out to the concert series, it’s the best thing we do. We get 3,000 to 4,000 people coming out for one night. And it’s the whole family, grandma and grandpa and the kids. And we’re bringing them together, we’re helping that family unit do something together,” Shields said from her spartan yet smartly decorated office at City Hall. The Sierra High School grad (before it became a ‘continuation school’) began her career at the city as a police dispatcher in 1975, “her dream job.” She met her husband, Mike, who was working in the city’s fire department, and the union produced two boys, Sean and Brian, and five grandchildren. Titles held along her illustrious career include secretary in recreation, office services supervisor, management assistant, community services manager, director of community services and director of parks, recreation and community services, the longest title held by any city employee. In 2000 she returned to academia and earned her bachelor’s degree in public administration from the University of La Verne. People don’t want to see her go. She has a fervent hand in many Whittier institutions including the Whittier Cultural Arts Commission, “Activate Whittier” and the Whittier Community Foundation, which has raised more than $400,000 for programs in Quakertown, including the Police Memorial of 2010. “It was one of the biggest highlights of my career,” she said. 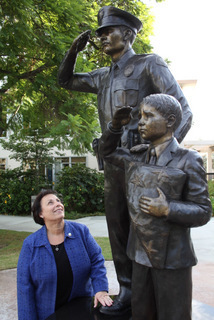 Aside from presiding over the city’s 22 parks, two senior centers, 54 full-time employees, 200 part-time workers and 100 volunteers, Shields has served as president of the Whittier Police Officers Association and spearheaded the Art in Public Places initiative, which was paid for with a half-percent tax placed on any development worth more than $250,000. “The arts are really special to me. When I started working with the Cultural Arts Commission, it was like opening a new world to me. The Art in Public Places program, we have 14 pieces, all came under my watch,” Shields said. Fran is an enigma in a world frustrated by governmental bureaucracy. And her humble smile is endearing. She said a tight-knit community like Whittier is unique because it cares about its people. In retirement Shields said she will continue her penchant for stitching and crafting. She’s also held a longstanding love of dancing. She proudly pointed to a simulated disco ball trophy she earned in 2014 while participating in the Soroptimist Club’s “Dancing With The Whittier Stars” gala. Fran is afraid of flying, so she and Mike will place a great strain on their motorhome in the years ahead. She said her dream is to take time off from everything and traverse this great nation. On Thursday the Whittier Host Lions Club honored Shields for her service at Parnell Park, another one of her favorite recreational haunts and home to Whittier’s only petting zoo. Over the years Shields has helped the service club do great things in bolstering Whittier’s quality of life. Past Lions Club president and former state sen. Frank Hill said the club got a kick out of ribbing the parks director for what may be the last time. White-Emerson protégé Paul White then presented Shields with a bouquet, assuring her they were NOT stolen from the longtime Whittier mortuary. What was the worst thing about her 42-year tenure? 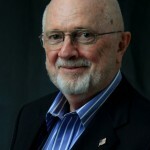 Tim Traeger is executive director of the Whittier Historical Society and former editor of the Whittier Daily News.